SME’s crisis and warning tools – A verification test in the manufactoring sector. Score-based models play an important role for predicting the failure of non-listed SME’s within a few years before bankruptcy, and the the reason of their success is in the fact that they are easy to understand and use easily obtainable data from both balance sheets and statements. This paper ascertains if two of such warning tools, one originally developed for U.S. firms (Z’-Score) while the other one is an adaptation of the latter to the peculiarities of the socio-economic Italian enviroment (BCS), are effectively reliable in measuring the default potential of industrial businesses in Italy. First, we have analyzed the theoretical and practical characteristics of the two models and we highlight some of its potential shortcomings. Second, we have examined a sample of 200 industrial SME’s, of which 100 companies have been subjected in the period 2005-2015 in bankruptcy proceedings because of a default, whereas the remaining 100 companies, which have been selected based on same core business, year of data collection and a comparable size of total assets, did not go bankruptcy. The models were tested by verifying, yesterday for today, whether the future health status of the businesses in the sample, and the impending business failures specifically, could have been predicted up to three years earlier and with reasonable precision using the examined models. We found that the models still work effectively and perform well in predicting failures of Italian SME’s, provided that some critical points illustrated in this study are taken into account. Keywords: Z’-Score, Sme, Businesses crises, Financial ratios, Warning tools. La valutazione del CdA in contesti ad elevata concentrazione proprietaria: mero conformismo o reale strumento di valutazione? Board evaluation and concentrated ownership structure. Conformism or assessment tool? Board evaluation is a best practice required on voluntary bases by Code of conduct. Despite its voluntary nature, companies very likely adopted this recommendation because the failure to adopt could have a negatively impact on company legitimation and reputation. Moreover, the implementation modalities of BE, however, could be negatively influenced by the specific companies’ ownership structure. The ownership concentration and the search for corporate legitimacy can lead at two possible situations: the BE have only formally adoption or BE have adoption in form and substance. What prevails in the context of ownership concentrated firms? Companies adopt the recommendation to comply with other companies (mere conformism) or it is a real assessment tool? We analyse the Italian non-financial listed companies, a market typically characterized by the presence of firms with high concentration of ownership, over the year 2011-2013. Our results reveal that, generally, BE is adopted but, in our sample, when ownership structure in concentrated, BE is more likely it is a result of mere conformism. The contribution is, as far as we know, the first to analyze the BE with reference to the context characterized by high concentration of ownership that can influence the quality of recommended best practice. Keywords: board evaluation, codici di condotta, Italia. Recent technological developments referred to Big Data (BD) and Data Analytics (DA) may offer significant opportunities in the statutory auditing context. Despite numerous studies dealing with the opportunities and obstacles related to the adoption of such technological advancement in conducting audit engagements, the way in which BD and DA can contribute to increase the efficiency and effectiveness of the statutory audit activities is still under investigated. This paper aims to provide an explorative analysis regarding whether, and if so, how extensive is the use of BD and DA technologies within the Italian auditing context. 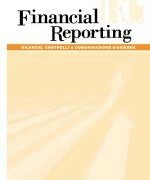 BY performing semi-structured interviews with the partner and senior managers of eight different audit firms (both Big 4 and not Big 4), the proposed analysis allowed to underline that in the Italian context audit firms have shown a lower degree of advancement compared to that of other countries (mostly US and UK). The peculiar characteristics of the Italian economic environment, specifically related to Italian audited companies, as well as the need for high-specialized skills in applying the mentioned technologies constitute the main obstacles to a full endorsement of BD and DA technology within the daily practices of Italian auditors. Keywords: revisione contabile, Big Data, Data Analytics, audit innovation. Sistemi di gestione e controllo e professionalizzazione delle imprese familiari. Uno strumento di accreditamento interparentale? Sistemi di gestione e controllo e professionalizzazione delle imprese familiari. Uno strumento di accreditamento intraparentale? Management control systems and family business professionalization. The pathway leading to successor’s seal of approval. Within the family business field of research, professionalization and succession have strongly attracted the scholars’ attention. Both the processes entail crucial changes for family firms, whose outcomes are mysterious and sometimes differing from expectations. Though scholars have identified several relationships between these processes, the way in which succession and professionalization could evolve in the medium-long term has not been adequately investigated. In particular, it is not clear how the introduction of management control systems and the hiring of skilled non-family managers may be combined with the successor’s professionalization. This paper builds on an Italian longitudinal case study analyzing the use of managerial systems and the introduction of professional managers during the intra-family succession. Results show that the successor’s seal of approval moves the introduction of managerial systems and the hiring of professional managers to the detriment of long-term survival and growth. Keywords: Professionalization, Management Control Systems, Family business, Succession. Our previous research has highlighted that a very small number of Italian companies failed planned their activities and carried out the management control through instruments such as budget, reporting, cost analysis, etc. (Nicolò, 2011). The lack of information has likely contributed to the crisis and failure of these companies. About 1/3 of these failed companies were very young, as they had been established for less than ten years. As is well known, young firms are very vulnerable because they do not have a corporate reputation and, consequently, the bonds of trust with the stakeholders are very fragile. Young firms do not have a history that can demonstrate that they are able to keep their commitments to lenders, investors, suppliers, customers, strategic partners. At the first difficulties, these fragile bonds of trust often break down and companies collapse on themselves because of the lack of resources they need to survive (Nicolò 2015, Nicolò and Ferrara 2015, Nicolò 2017). Drawing up a business plan can mitigate the high level of vulnerability of young firms because it helps to prevent wrong decisions. Moreover, the business plan is the only tool that can be used to build quickly a corporate reputation analytically demonstrating to stakeholders that the company will be able to survive over time and to meet their interests and expectations. In the last decades, a fruitful stream of research has paid attention to the servitization strategy analysing the role of accounting in supporting it. We deeply investigate the role of accounting information in verifying the validity of a servitization strategy. Drawing on the pragmatic constructivism, we identify the key elements of servitization strategy associated to possibilities, facts, and values that could contribute to transform new possibilities into factual possibilities. Focusing on New Product Development (NPD) processes, we aim to analyse the use of accounting information in managing two development projects. In particular, the accounting information, acting as a communication means can verify the validity of a company servitization strategy in order to complete the construction of that strategy. We conducted an interpretive case-study at a division of a multinational, manufacturing company operating in the semiconductor industry. Case evidence showed how the revisions to the projects, suggested from accounting communications during the NPD phases, allowed a realignment of the two projects to the servitization strategy at the company level, which was validated with respect to the new devices. The “real-traditional” world and the “digital” world, strategic management and web intelligence. The future of information management and control. The purpose of this paper is to analyze how the web intelligence may influence the principal dimensions of strategic intelligence, improving the capacity to make right strategic moves. Specifically, the aim is to study the possibilities and the risks, with the related control needs, of using web data and web information in defining strategies in the real traditional world, and not only in defining web strategies. First of all, we advanced a framework and, then, the research was completed with specific interviews to managers of leader companies in the field of managing information and data. The study shows how “big data” may contain “rich data” and “deep data” and how the digital world may represent the “real traditional world”. Indeed, the study highlightsthe relationship, and maybe also the futures of the relationship, between the “digital world” and the strategic management. Keywords: strategy, web, intelligence, big data, digitization, information system. The university modernization process has introduced a new concept of such institutions: the “Smarter University”. According to this concept, the new role of universities in modern society consists not only of cooperation with other actors focusing on social, cultural and economic activities but also the wide use of web-based technologies to support traditional teaching and research, as well as engagement and social interaction (Coccoli et al., 2014). The Smarter University model is the result of technological innovations and, in particular, digital tools that facilitate interconnection, networking and sharing between individuals and groups (Coccoli et al., 2014) and increase the ability of universities to contribute to economic and social development. The new concept of the university has attracted research attention aimed at finding appropriate models to measure the performance of such institutions. In this paper, we develop a model to measure the contribution of smarter universities to social, economic and cultural development. We adopt an integrated approach that links performance measurement to the smart university’s mission and its new business model. Keywords: Smart Organizations, Smart Universities, Performance Measurement, Triple Helix, SMART Performance Pyramid. The present paper is a theoretical study on the topic of cyber risk and cyber risk management. This research represents the first step of a far deeper analysis on this topic that aims at underlining the main characteristics of cyber risk, delineating future developments in managing it and strengthening the importance of sharing information and creating a shared knowledge between countries. Good situational awareness and cyber risk analytics are vital in helping firms identify weaknesses, rank threat scenarios, identify countermeasures and set priorities for intelligence gathering. There emerges the need to improve the traditional risk management process, by considering the necessity to manage not only risks, but also uncertainties, by implementing Business Continuity Management systems with the aim to build business resilience. To do that, one possible solution might be represented by the intervention of governments with laws and frameworks that might help companies fight cyber threats. The research analyzes topics in Accounting and Management studies and their trends over time. Based on hand-collected publication of full professor, associate professor, assistant researchers, doctoral graduates, we first suggest a classification of topics coherent with the one used by mains academic association annual congresses. Next, we find that Management and Financial accounting dominate topics in accounting studies, and that Auditing, Social, Environmental, Integrated reporting, Education and History increase publication over time. We also find that public administration and health care industry dominate topics in management studies, and that public administration topics increases publications over time. We contribute to literature, extending previous studies focused only on specific type of researchers, publication, and topics. Full and Associate professors appear to drive the main topics, both in management (corporate governance – strategies) and accounting studies. Doctoral graduate and Assistant researchers, however, tend to focus their topics of research on articles, with great attention to the ranking of the journal that publishes the study. The evolutionary challenges of management control between strategic relationship, institutional innovation and discontinuity: a knowledge transfer matter? Management control studies provide a relevant body of knowledge able to support any organization in the strategy formulation, information processing and performance measurement. The suggested frameworks and tools are now proposed and implemented in a wide range of organizational contexts to face the increasing environmental discontinuity, characterized by the growing importance of strategic relationships and institutional innovations. In this scenario, the selected papers discuss some theoretical proposals and cases of implementation that could be interpreted in the knowledge transfer perspective, stimulating an analytical approach able to foster the role of management control in supporting economic and social development. Keywords: management control, strategic relationships, innovation, performance measurement, knowledge transfer. This paper aims at providing some conceptual references to academics and practitioners useful for guiding the strategic planning process in alliance formation. Research on strategic networking is a multidisciplinary field drawing from different theoretical perspectives. It emphasizes the strategic value of alliances in its various forms but rarely attempts to model the strategic planning process and to test its validity empirically. Most of the contributions are focused on specific aspects of strategy, rarely providing a holistic view able to address the strategic process and contents by explicitly recognizing the existence of different kinds of alliances. Drawing from three different but interconnected theoretical roots (strategic network, strategic analysis, and value chain management) and adopting a deductive approach, this conceptual paper proposes a comprehensive framework for strategic planning in alliance formation and four theoretical propositions. These propositions shed light on the relationships between strategic planning process and three different kinds of business collaboration, and focus on the implications of the integrating process for network value creation. The different goals and complexity of such typologies, although not mutually exclusive, specifically influence the strategic analysis contents, the process of negotiation, and the construction of strategic consensus between partners. Keywords: Strategic planning, business networks, strategic alliances, value chain, negotiation, strategic consensus. 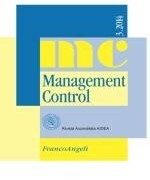 Keywords: Economia Aziendale, long-run operating capital maintenance, asset valuation, income measurement, Gino Zappa. Professionalization and management succession represent relevant research topics in family business. Our main aim is to highlight the importance of professionalization in positively supporting a management succession process in family firms (FFs), by strengthening and standardizing the processes of strategy formulation, implementation and control, with the goal of achieving long-run value creation and guaranteeing the survival of the firm. We have carried out an explanatory single case study, which is quite representative for this research topic. Relying on Simons’ levers of control framework (1995, 2000) and on the work performed by Acquaah (2013), we explain how the entrance of professional managers and the adoption of Diagnostic Control Systems (DCSs) and Interactive Control Systems (ICSs) impact FFs’ strategy formulation, implementation and control, favouring the management succession process. The importance of the professionalization phenomenon as a tool to positively support management succession emerges. Formal Performance Management Systems (PMSs) have several positive effects on management succession. In particular, the Management Control System (MCS) contributes to the emersion of new opportunities and creativeness within the business and makes it possible to capture strategic initiatives that arise from the bottom of the structure. Keywords: family business, management succession, generational handover, professionalization, Management Control Systems Control Systems. Keywords: Social and environmental reports, global financial crisis, global reporting initiative guidelines, stakeholder theory, value relevance. The paper has a twofold objective: 1) to verify whether the innovation resources offered by the socio-economic context can activate the performance of the university spin-offs operating in the same area; 2) to verify also the degree of success obtained by the university spin-offs able to produce effects on the level of innovation that emerges from the specific socio-economic environment. Starting from the Knowledge Spillover Theory of Entrepreneurship and the analysis of a sample of 405 Italian companies, it emerged that the resources promoting the innovation of the socio-economic context appreciably contribute to the achievement of better performance by the university spin-offs. Nonetheless, environmental influence is not always able to provide significant impetus or produce clearly positive consequences. Moreover, the impact on the socio-economic context of the actions promoting the university spin-offs innovation is only partially real and positive. Anyway, from the standpoint of the evidence gathered, the spin-off companies play a more significant role for an innovative environmental development than the role played by the territorial context in the growth of the spin-offs. Keywords: Knowledge Spillover, Theory of Entrepreneurship, university spin-off, innovation, performance. Keywords: Customization, breakdown, subsidiaries, operating segments. Interaction between Social Networks (SNs), blogs, websites, and other intenet-related technologies are mostly used to improve Stakeholder Engagement (SE). According to previous researches the universities use the new media tools, however in a traditional ways this underestimate their contribution in SE improving. The article, through exploratory research method, analyses the use of SN by Italian and Chinese public universities also by highlighting the SE’s process. Results reveal, for both countries, increasing attention to SE’s processes in decision-making systems. However, the study has shown how Italian universities achieve a more complete SE than Chinese universities, thus demonstrating greater awareness of the importance of their inclusion in their decision-making processes. Italian universities also manage SN more efficiently, both for news sharing and for data gathering useful to improving SE strategies. In conclusion, the study shows that, despite universities are fully awareness of the link between SN and SE, there is a strong need of improving within hoth countries. Keywords: Public university, stakeholder engagement, social network, China, Italy. This paper aims to examine the public sector accounting reform in Italy, focusing on universities and addressing the specific aspect of the accounting change from an internal perspective. The study focuses on the question of how universities in Italy responded internally to governmental pressures for accounting reform, and it examines the extent to which universities implemented the new accounting systems based on the accrual accounting introduction and the new budgeting and reporting implementation. This paper makes use of the key elements identified by Lapsley and Pettigrew’s framework (1994) to shed light on accounting change in three Italian universities, and it identifies the key elements that qualify receptive and non-receptive contexts of change in practice. Keywords: Universities, Accounting Reform, Italy, Accounting Change, Law 240/2010, Response to Change. An integrated framework to measure the innovation of the National Digital School Plan (PNSD). The National Plan for Digital School (PNSD) is a fundamental pillar of the Good School Reform (Law no. 107/2015), which reflects the Government’s position respect to most important challenges of the innovation in public schools. The Plan is focused on the strengthening of digital skills and on the extension of the concept of the school from physical location to virtual learning space where the teaching and the planning can be made anywhere. The Plan has a long-term value and it traces the guidelines of the future school towards a path of innovation and digitalization. In this context of change of the Digital Society it is essential to introduce managerial models that help schools to develop competences in strategic management control useful to plan and monitor the investment in digital technologies. The paper presents an integrated framework that analyses and measures the innovation introduced by the PNSD and its performance through appropriate indicators and measurement tools. Keywords: PNSD, digital school, indicators, performance, innovation, BSC, EFQM. A seguito dei recenti interventi normativi (d.lgs. 33/2013, d.lgs. 97/2016), i temi relativi all’accountability e alla trasparenza nelle pubbliche amministrazioni sono entrati pienamente nel dibattito scientifico, politico e pubblico. Il presente contributo intende presentare un’analisi del significato e delle implicazioni operative dei concetti di trasparenza ed accountability. Nel fare questo si evidenzieranno le differenze ed i legami reciproci, così come gli effetti indesiderati che possono generare nella gestione delle amministrazioni pubbliche. Following recent reforms (d.lgs. 33/2013, d.lgs. 97/2016), the accountability and transparency of the Italian public sector organisations have become two buzzwords in the scientific, political and public debate. The present paper intends to present analysis of the meanings and the operative implications of the application of transparency and accountability. In doing so, the paper highlights the differences, complementarities and relations between transparency and accountability, as well as the potential unintended consequences of their use.